Add these to your children's bedtime routine. It’s shocking what you find in some of the children’s books from other generations – even from our own when we were little. Some tell your child it’s not okay to cry, others tell them that girls can’t do this because it’s a “boys” thing, some tell little ones that all it’s okay to go with a stranger as long as it’s an adult, and that’s only to name a few. The potential danger is immense, not only to their physical health but to their emotional health as well. So, we’ve done our research to find the best children’s books about mental health to ensure your bedtime stories are just as powerful as they are enjoyable. We were quite disappointed to see that there are very few children’s book about mental health or that teach them a valuable lesson. However, the ones we did find are amazing and we highly recommend adding the following children’s books about mental health into your bedtime routine. We love You Should, You Should so much that we have added it into our summer Kid’s Calming Krate (which is still available for sign ups). This children’s book is about peer pressure, where all the other animals want the main character to do things that are harmless, but that the main character simply doesn’t want to do. It’s about staying true to who you are and doing what you think is right. Scholastics has a wide range of children’s books about mental health, with this one being one of our favorites. The Very Cranky Bear is about helping other’s cheer up when they’re not feeling so happy. Not only does it teach your little one about being unhappy but it also teaches them about helping others who are struggling. If you’re looking for an interactive way to teach your little one about emotions, Glad Monster, Sad Monster is it as it walks you and your child through all the moods of little monsters (and kids!). This children’s book about mental health tells the story of a little girl who is feeling sad, but who turns her mood around by doing things that make her happy. It’s a great book that helps your child recognize that they do have control over the way they feel. Mouse Was Mad is great for parents struggling with an angry child, as it shows the different ways they can express anger, whether it’s stomping like a bear or being silent like a mouse. A wonderful children’s book about mental health is, The Way I Feel. It helps children understand their emotions and also places an emphasis on the fact that it’s okay to feel that way. You can’t go wrong with a Dr. Seuss children’s book about mental health. My Many Colored Days is great for children learning about their emotions and it can be used as they grow to open up communication about the way they feel. Here’s an oldie but a goodie! When Sophie Gets Angry… Really, Really Angry is a powerful book about anger and frustration, whether its surrounding siblings, sharing or many things in between. Sometimes I’m Bombaloo is all about a little girl who is typically a well-behaved girl but who sometimes loses her temper. It teaches your little one some good coping methods that can be beneficial for the entire family. The Llama Lama series is an excellent collection of books, and this one in particular explores feeling angry and how to overcome it. 11) Can I Catch It Like a Cold? If there’s any children’s book about mental health that you should get, it’s Can I Catch It Like a Cold. It was made in partnership with The Centre for Addiction and Mental Health and discusses what depression is and how it is treated, and helps ease a child’s anxiety about being around others who are mentally ill. Listening to My Body is great children’s book that helps your little one make a connection between their emotions and body sensations. We highly recommend this one for children with anxiety. 13) How Are You Feeling Today, Baby Bear? For children living in a home that is a little stormy, How Are You Feeling Today Baby Bear is definitely a must-have book. It takes the child on a journey towards exploring and naming their emotions, with side notes for adults looking for ways to open up communication about the way the little one is feeling. A Terrible Thing Happened is a powerful children’s book for little ones who have witness traumatic event, whether it was abuse, bullying, natural disasters, suicides, etc. It also provides you, the adult, with ways to help traumatized children overcome these dark days. The Sad Book is a beautiful book that explains sadness and depression to children. It also branches into grief and loss, and offers children ideas on ways to cope. When Worries Get Too Big is a great children’s book about mental health. It provides them with useful relaxation techniques and strategies to help alleviate anxiety and worry. 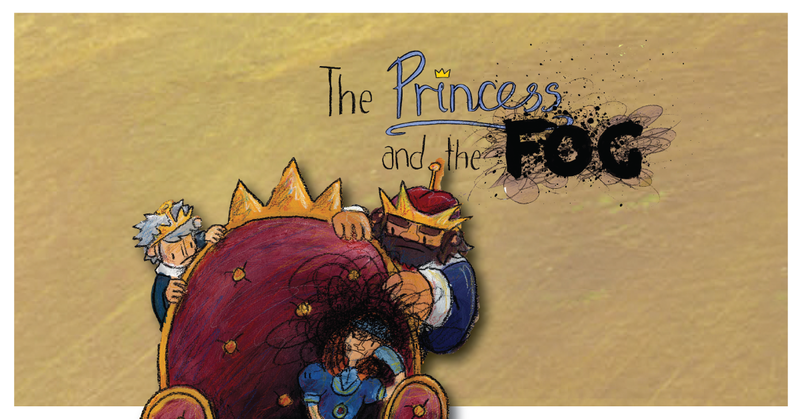 The Princess and the Fog is one of the best children’s books about mental health. It tells the story of a little princess who had everything until “the fog” came, which helps children learn about their depression and the many ways they can deal with difficult feelings. An excellent book for children with anxiety is The Huge Bag of Worries, as it is all about this little girl who has a big blue bag of worries that follow her and more importantly, what to do about it. What To Do When You Worry Too Much is probably one of the most recommend books for children with anxiety, from both the Anxiety Gone team and our audience. It’s an interactive story that helps children and parents learn useful techniques to alleviate anxiety and of course, to understanding what is going on. The next time you’re reading a bedtime story, think about the messages the words are actually telling your child. You’d be shocked. So, avoid them altogether by replenishing your book shelf with these children’s books about mental health.